Renters often incur additional charges throughout the rental period that you then need to add to their booking and charge them for. 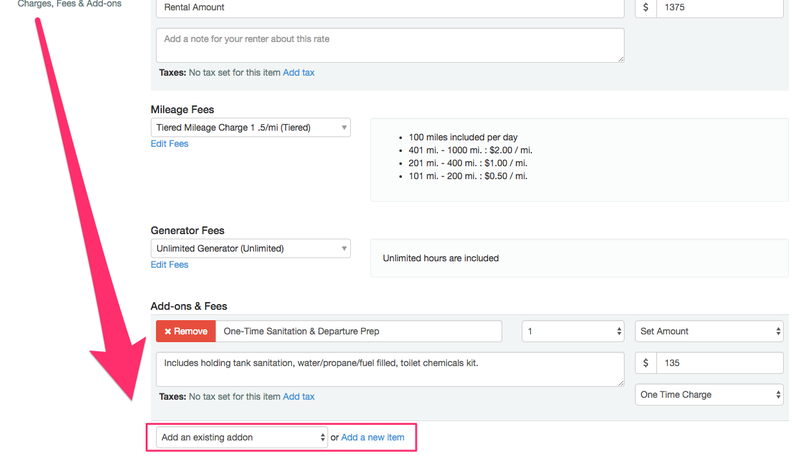 Things like a dump fee, cleaning fee, or anything else you might think of. The process is exactly the same as adding line items or fees prior to the booking's departure. Select an EXISTING ADDON or ADD A NEW ITEM (depends if you've already programmed this fee/addon in the Wheelbase system. The new fee is now in the description of the charges, you can now select MAKE PAYMENT at the top of the reservation and charge the renter's card for the additional charges.